The new pink Samsung Galaxy Note 3 can now be purchased exclusively with Phones 4u, they said they are tickled pink to have this new colour on board and we can see the same for its customers. The new arrival of the Samsung Galaxy Note 3 pink edition is exciting and we can see these selling very well. 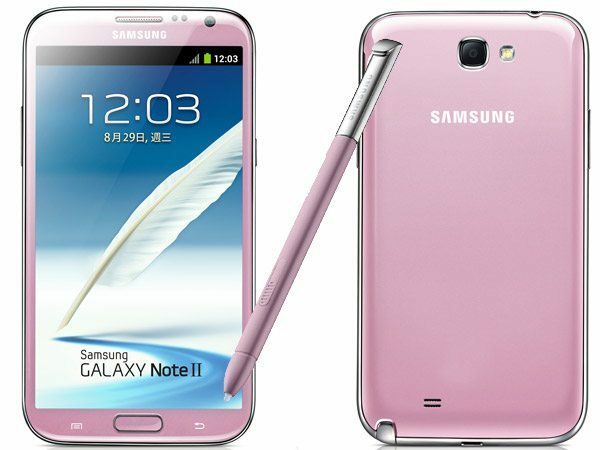 Get your hands on the new Samsung Galaxy Note 3 in pink, a press release says it will be available through the whole of November, so if you like it get ordering now. Phones 4u have said that they ARE the exclusive UK retailer of the Samsung Galaxy Note 3 pink edition, but only throughout the month of November. The pink Note 3 will be available online and in all of the Phones 4u 700+ stores across the UK. Phones 4u would like to offer you even more, if you decide to upgrade to the Samsung Galaxy 3 Note in pink on a 4G tariff they will give you a free wireless speaker worth £120. If you decide to upgrade on a Vodafone 4G ready plan they will provide Sky Sports Mobile or Spotify Premium for free. You can purchase the pink SGN3 on Phones 4u from free on £47 a month on contract, would you like to own a pink 5.7-inch Full HD display smartphone?